We love to experiment with mashed potatoes. Try adding roasted garlic, fat-free sour cream or low-fat cheese for added flavor. Experiment with different types of potatoes such as Yukon Golds or Peruvian Purples for a different flavor. Leave the skin on the potatoes for added texture, flavor and fiber. Substitute 1/2 pound beets for 1/2 pound of the potatoes. 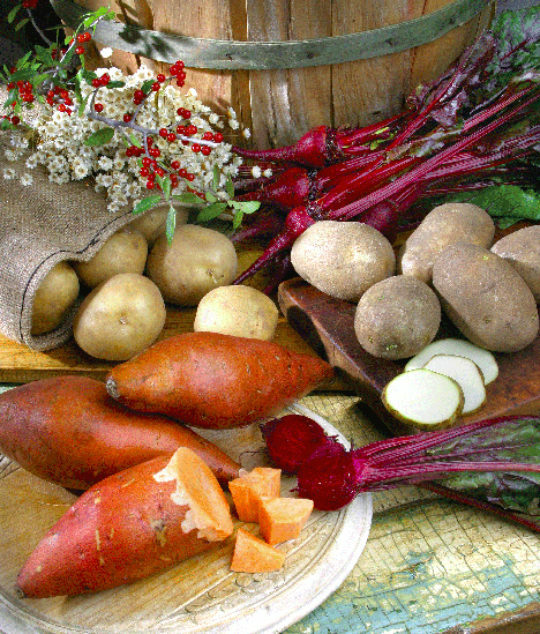 Boil beets and potatoes together, then mash together with other ingredients. Substitute sweet potatoes for regular potatoes. Peel after boiling. Prepare as directed. In a medium saucepan, bring the water to a boil. Add the potatoes. Then bring the water to a simmer for 20-25 minutes, or until the potatoes are tender. Remove the pan from heat and drain the water. Use a mixer to combine the ingredients until they are smooth.